The world of essential oils can be tricky for the beginner. Which oils need carriers? Which ones don't? Which ones are safe for children? How do you know if an oil is safe for internal use or not? And maybe most confusing — you may need a course in Latin to understand all the different properties of essential oils. Look no further! This is your one-stop-shop for understanding and decoding the various properties of essential oils. Bookmark or pin this post, and refer back to it over and over again! Understand that it is not exhaustive. I have listed examples of oils with each property, but again, this is not exhaustive either. There are likely more oils that I don't even know about that possess a certain property. Do your research when it comes to choosing the best oil for every situation. When I say “research”, I mean to consult an aromatherapist and/or a book that can help you. I encourage you to seek out unbiased research for this purpose, not the information that comes in your brand's oil kits and marketing materials. I am a big fan of the online classes offered at Vintage Remedies. If you plan to use oils regularly in your home, I highly recommend you invest in one or more of their oils courses. Here are the essential oil properties, along with the oils that contain those properties. Relieve or reduce pain when applied externally. Reduce the sensation of pain. Many essential oils are analgesic, and some are suited for specific uses. For example, clary sage is wonderful for alleviating menstrual cramping, while lavender can relieve a headache. Other oils, like clove bud and yarrow, can even act as a local anesthetic. Oils — Chamomile: low back pain, neuralgia. Clove bud: dental pain. Eucalyptus: muscle aches, sprains. Juniper berry: joint pain, especially that caused by fibromyalgia and arthritis. Peppermint: headaches. Reduce uncomfortable symptoms associated with allergies, especially seasonal allergies. Some anti-allergenic oils purify the air of your home, reducing pollens and allergens in the air. Other oils support or calm the respiratory system to relieve allergenic symptoms like sneezing, coughing, and congestion. 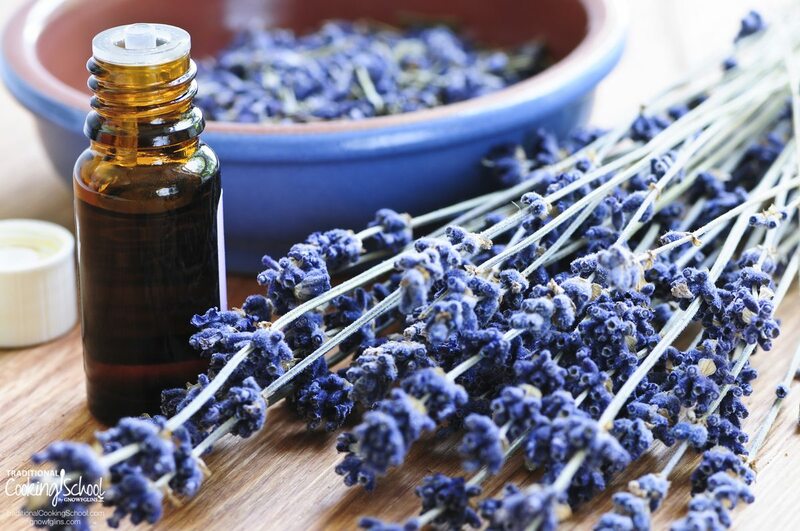 Oils — A potent anti-allergenic blend is to combine 1 drop each of lavender, lemon, and peppermint and apply topically to relieve sneezing or add to water and swish in the mouth for 20 to 30 seconds to use as a decongestant. Other oils to combat allergies: blue tansy, eucalyptus, frankincense, helichrysum, lemon balm, Roman chamomile. Increase the number of red blood cells or the amount of hemoglobin in the blood. The use of essential oils for this purpose is to combat the lack of iron in the blood. Used to combat feelings of anxiety, nervousness and to help calm and soothe anxiety. It is important to note that blending oils together can give fast and powerful relief from anxiety, sometimes more so than a single oil. Used to relieve and heal arthritic conditions. The oils listed are a general overview of anti-arthritic oils. For oils relating to specific arthritic conditions such as rheumatoid arthritis, psoriatic arthritis, and osteoarthritis, see this article. Destroy, suppress, or slow the growth of bacteria. As with most applications, certain oils are better suited to certain bacteria and conditions than others. 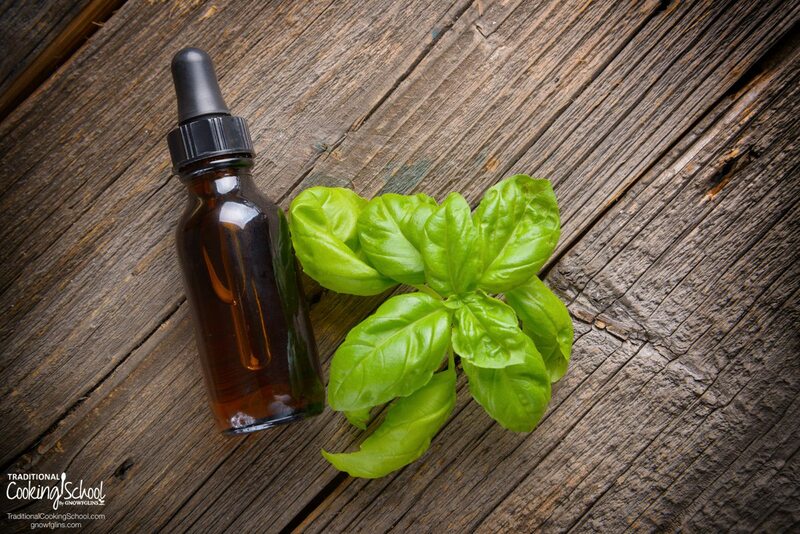 For example, oregano oil is highly potent against internal bacteria (1 drop is plenty for a large adult), but it should never be applied to the skin without a carrier, especially on children. Please do your research, consult an aromatherapist, or use an essential oil book to determine which anti-bacterial oils you need for certain conditions. Aid in removal of excess bile or to improve jaundice. Heal inflammation of the mucous membranes. Also relieve of excess mucous and phlegm, which is useful for respiratory inflammation and distress. Work to prevent the clotting of blood. Reduce blood clotting which can help prevent deep vein thrombosis and pulmonary embolism. If you are taking any type of prescription or synthetic anti-coagulating drugs, seek the wisdom of a qualified health practitioner before employing these essential oils for that purpose. Counteract the absence of cheerfulness or diminishing function or activity. Oils which are uplifting, especially the citrus oils, are best suited for this purpose. Other oils may help to bring peace or a feeling of being grounded, relieve anxiety, or just uplift the spirit. Oils — Uplifting: bergamot, citronella, grapefruit, magnolia, sweet orange. Grounding: cedarwood, patchouli, rosemary. Calming: lavender, sandalwood, vetiver. Used to relieve nausea or to prevent or stop vomiting. Effective against the growth of fungi. These include Candida albicans, ringworm, tinea versicolor, and other fungi or pathogenic yeasts. Decrease lactation in the mammary glands. Used to dry up a nursing mother's milk supply. These oils should NOT be used by nursing mothers at any time. Counteract or suppress inflammation. This is a broad use term for oils. For a specific type of inflammation, such as arthritis, congestion, or dental pain, it is best to seek out oils that are suited for those purposes. Consult an aromatherapist or essential oil book for application and using carrier oils. The type of parasitic infection will determine which oils to use and which application is best. Consult someone who is highly skilled in aromatherapy and the use of essential oils for this purpose. Do NOT attempt to treat a parasitic infection with essential oils without professional help. Relieve or prevent itching from rashes, bites, or skin infections. Used to relieve and reduce temperature from high fevers. Anti-fever. Used to prevent or relieve rheumatism. Used to provide relief for a skin condition known as Seborrheic Dermatitis. This condition is believed to be caused by a yeast that multiplies too quickly on the skin and creates a toxin that inflames the skin. Oils used for this purpose must be able to relieve itching (anti-pruritic) and kill yeast and bacteria. Used to relieve nervous irritability and reduce or prevent excessive involuntary muscular contractions and spasms. Prevent, resist, and counteract decay. Kill and prevent the growth of microorganisms. Especially helpful for preventing infection or dispersing in the air to kill microorganisms. Prevent viruses from growing and spreading. No substance can cause arousal. Certain essential oils may, however, lessen emotional or psychological stresses interfering with sexual desire or arousal. Furthermore, essential oils can lift the mood, calm anxiety, energize the mind and body, and appeal to the senses. Contract tissues to make them denser and firmer. Decreas discharges. Stimulate peristalsis. Relieve and promote the expulsion of gas from the gastrointestinal tract. Settle the digestive system. Relieve flatulence. Can be very healing for cerebral conditions and diseases. Stimulate and clear the mind. Used to promote increased flow and discharge of into the intestines by contracting the bile ducts. Stimulate secretion of bile into the duodenum. Increase the volume of secretion of bile from the liver, as well as the amount of solids excreted. Promote the formation of scar tissue. Used to beautify the skin and improve the complexion. Soothing to inflammation or irritation of any kind. Cleanse and purifiy blood and organs. Detoxify. Oils — caraway, carrot seed, coriander, fennel, garlic, grapefruit, juniper berry, lemon, pine, rose. Spikenard essential oil is a well-known depurative for the uterus and ovaries. Help to produce perspiration/sweating. Also increase toxin elimination through the skin. Aid in the digestion of food. Promote removal of excess water from the body through the urinary tract. Increase the flow of urine. Induce or assist menstruation. Tone the female reproductive organs. Regulate menstruation. Soothing to the skin. All carrier oils are emollient. Encourage the discharge of mucous from respiratory passages. Increase the secretion of breastmilk. Used to strengthen, tone, and and stimulate the secretions and function of the liver. Stimulate or strengthen the immune system. Loosen bowel and relieve constipation. Break down mucous in the respiratory passages. Help to heal and support the kidneys. Stimulate uterine contractions. Induce and assist with labor. These oils should NOT be used during pregnancy, except under the watchful eye of a trained practitioner. Restore something back to its original or intended condition. Stimulate capillary dilation and cause the skin to redden. Can cause skin irritation. Calm and tranquilize the nerves. Help to induce sleep. Relieve insomnia. Awaken the functions of the body. Increase energy. Digestive aid and gastric tonic. Help with appetite and improved digestion. Stop local bleeding or hemorrhaging. Applied externally. Cause sweating. Unlike diaphoretic oils, sudorific oils promote the flow of sweat, not perspiration. Restoring, invigorating, and refreshing to the body. Cause constriction of blood vessel walls. Stimulate circulation. Cause dilation of blood vessel walls. What properties or oils would you add to this list? 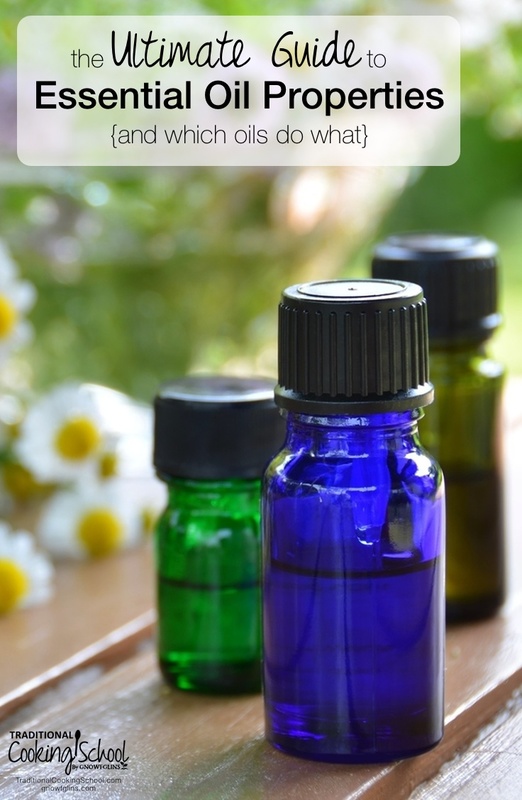 Did you know all these properties of essential oils? Please leave a (brand-neutral) comment below. The oil company I use sources their Sandalwood and Bergamot for their Cicatrizantive properties. Thanks for the opportunity to comment. This list is so helpful, thank you! Make sure you know which oils are safe to use on children/babies and their dillution ratios. Would you consider adding the “safe” oils for kids at the bottom? That would make this page perfect for bookmarking to re-visit when needed. Thanks Lindsey! Cicatrisant means to prevent the formation of scar tissue, not promote it. Thank you so much for this information. I am starting to use essential oils but need to be careful because of my cats and I have an immune system disorder. I have found that tea tree oil is toxic for cats and compromises your immune system so never using that. My husband has tinea versicolor and I was thinking of trying orange essential oil but it there is an issue with phototoxicity and this is a problem because we are in the South and my husband works outside and the tinea versicolor is on his back neck, shoulders and arm. I guess I can try clove or eucalyptus. I have no idea how to use essential oils for skin applications. Lots of Great Info. Thanks so much for sharing! Gracias por esta completa guía! Under Styptic: I used a few drops of Helichrysum on a bleeding finger. I had a cut on my finger and it would not stop bleeding. Helichrysum did the job. Your list is very comprehensive. Thank you very much. It will be very useful. I liked that you explained the terms. As we all know that we are too busy in our lives and doesn’t have time to relax both body and mind with essential oils. So my suggestion is to have an aromatherapy to decrease the level of stress. I found your post from Pinterest! I’m also gonna pin this post on my Pinterest board my followers will love it. In addition, essential oils can help kill bacteria and viruses, fight infection, relieve allergies and alleviate anxiety, stress, depression, fatigue, and poor memory.